Infinity Box is one of the best professional flashing tools since 2005 to till and non stop giving us updates Searching of Infinity Box latest Crack Version is just wasting of your time if you want to make money then you have to invest first then you can make money. 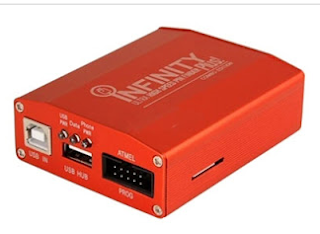 Infinity-Box as name has support of 70% mobile phones brands that,s why professional flasher have trust on Infinity team and that's the one that box which cannot be hacked or cracked ever if someone says that there is a crack version he have then it can't be infinity box CM2 it cold be CM2 them not tool so if your a professional and have mobiles software shop and want to make money not giving compensation for breaking phone your customers then you need to buy original CM2 key it's not so much expensive for your work you can recover that money within one week. That's why never ever used the crack of mobiles flashing tool it can be brack your phone and also your PC could be infected with the virus. Last year 06 2016 Infinity team has release 1.58 giving us a new way of flashing read and write flash on Android phones. On 13 March infinity Box team has given a new update on Qualcomm tool new update. Now Infinity Box team also have the full support of LG and Samsung. CM2 latest crack is not possible tell now that's why no one can crack it. Infinity-Box gave us last month a big update on MTK tool version 2.00 but it's not professional MTK tool the team of Infinity box is working on it and trying to improve and fix bugs with the trial versions and user of infinity box test that version and sand them errors log we hope within one or two months the infinity box team gave us a professional MTK tool which has support of all the latest android mobiles security system and bypasses them. What,s new in the latest version of the Infinity Box all tools of 2017,18? Firmware reading of Feature and Android phones are updated and revised. Flash engine update and bug are fixed. NAND update brand information reading. NAND firmware save with full phone information. Added new support of latest models of LG on LGE Tool latest version. Added new CPU,s of Qualcomm Tool latest version. You can repair the IMEI of your mobile and you don`t have to flash your phone to do this stuff. There is the world first and biggest library avail for flash files. The setup will support with all over MTK Gadgets. Also, support for SPD devices. Qualcomm support Improve Write Flash and unlock all type of locks. The users can easily able to take a backup of their SPD/MTK devices. There is an option of format and this is now so advanced. The best and easy Android mobile repair feature available. SUPPORTED CUP IN SPD PLATFORM. removing of FRP all latest SPD 7731 or old CUP'S.